If you watch carefully, you may notice that nearly every movie has credits at beginning and end. Those credits usually vary in style, color, size, and so on, and they are designed to send some information about the movie to audiences. For example, some movie editors use credits to introduce the staff who have joined in making the movie, and others make a thank note at the end scene to replace credits. In fact, no matter what content is used, a rolling credit in a movie can bring an air of professionalism. Adding credits is indeed an efficient way to make a movie stand out. This post will introduce good movie credits maker together with step-by-step instructions to you. How to Make Credits for a Movie? 1. Make the credits legible and choose an appropriate font. No matter what content you want to use in your credits, choose fonts that match your video’s message. Some font styles are conservative, so they add a sense of solemnity to your audience. Others may be a little informal, so they change the video atmosphere from solemn to relaxing. 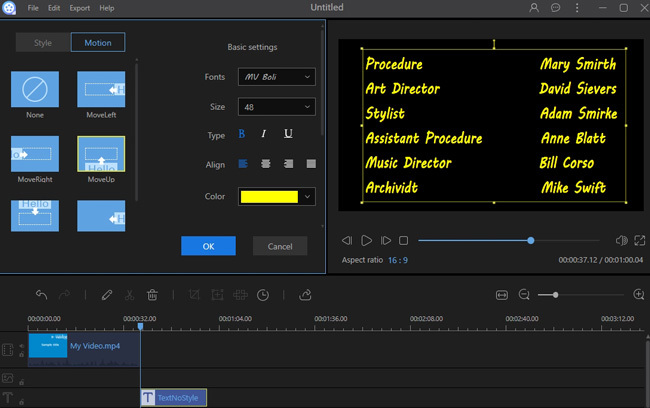 In fact, changing the font color, style, and size of credits to have aesthetic features can often telegraph your skills as a video editor, so it’s better to pay more attention to the fonts you are ready to use. 2. Add a special effect to the credits. Today’s movie credits maker enables users to apply different effects to the credits. 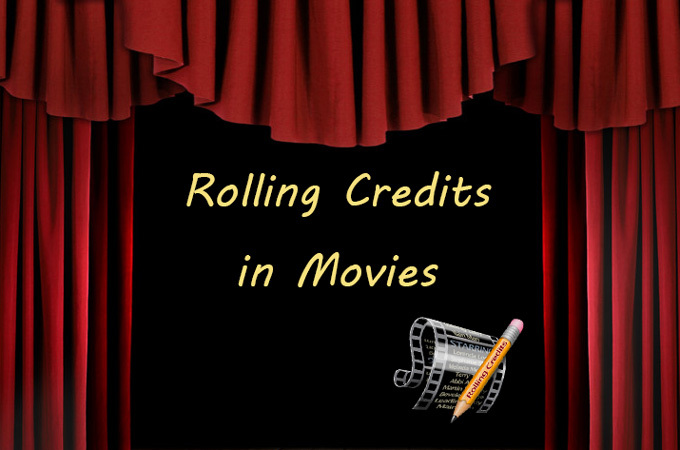 Users can make rolling credits, and set their moving tracks. These credits with special effects are more dramatic and professional than the plain ones in some old black and white movies. So in order to draw audiences’ attention to the credits, you can apply some effects to make the credits look like those in professional movies. 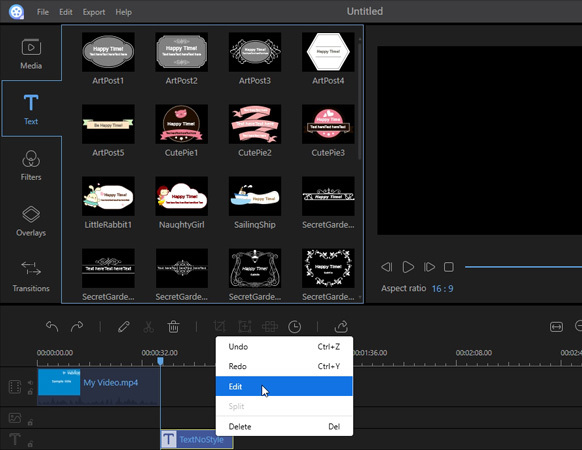 Among many professional video editors, ApowerEdit is a good one. 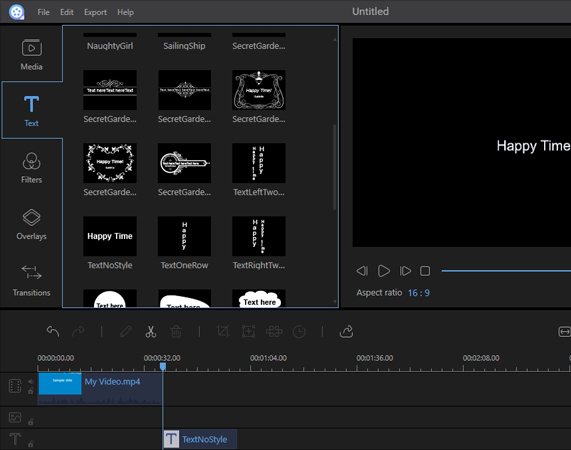 With its clear interface and powerful functionality, this video editing tool is widely used by many video editing lovers. Both novices and experienced users can make good use of ApowerEdit for their creations. ApowerEdit features all the basic editing functions, such as adding a picture, using a filter, changing an audio file, and so on. UserS can choose to apply one or more than one effect to videos, including adding a good-looking credit. Check out the steps below to learn how to use this movie credits maker. Launch the program and then import the video files. Right click a video file in the media library and choose “Add to Project”. Click “Text” in the menu bar. Choose one type of text and drag it to the text bar. Adjust the location of the text in the text track. Right click the text in the text bar and choose “Edit”. Type some words and apply effects to the credits. Download and install Corel Video Studio. Open the program and import media files. Drag and drop a video file onto the track. Click the “Text” icon in the left toolbar. 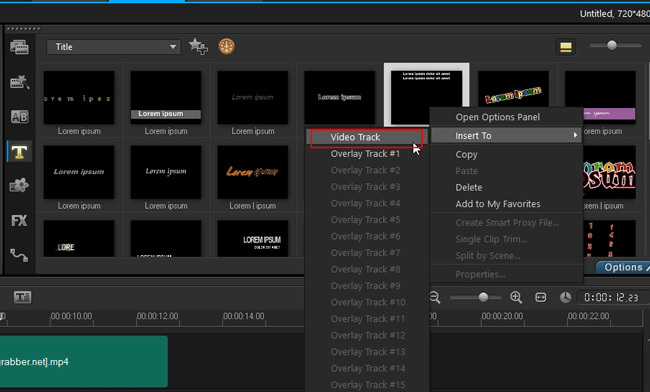 Right click a style of text, and choose “Insert to”> “Video track”. Double click the text in the track. Type some words, and edit the text. Click “File” > “Save as” to export the video. Whatever programs you choose, using rolling credits can help you make your video look professional. Today’s introduction to credit generator should be useful for you. Give it a try now! Rating: 4.8 / 5 (based on 42 ratings) Thanks for your rating!